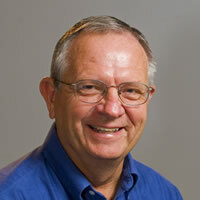 James C. Hershauer is Emeritus Professor of Management and Affiliate Faculty of the School of Sustainability at Arizona State University. Based on work with more than 200 organizations, he has co-authored eight major research volumes and more than 50 journal articles. His writings cover business practices such as sustainability, productivity, quality, and supply chains. His first paper on environmental issues was "Elements of Environmental Compliance Infrastructure," OM Review, July 1994 (with Ralph Ponce de Leon, Motorola, Inc.). He has just completed a three-volume edited set on The Business of Sustainability with Scott McNall and George Basile (published by Praeger, October, 2011).